Got and lost and getting again at this very moment. Í had snow last week. Caused mayhem all over the country, so it's probably better if it doesn't snow anymore. I did so also. I hope more people find this thread and vote, so we can have some accurate info. It might also be interesting to see what part of the US/state people are from. I'm from Wyoming and right now we don't have any snow (well, we got some and its mostly melted so just little patches of white) but I think we're supposed to get some today and tomorrow. I am from Australia. It is funny, you guys asking about snow, because it reached 39 degrees celsius (over 102 degrees f) on Wednesday and it was still over 30 degrees at 8pm! I admit it *is* above average for Sydney this time of year but, still-- heh, so no, no snow here! gosh, you're so lucky! It's freezing where I am, and we had this really suprising blizzardy thing a couple days ago, and were without power for two nights (some areas are still without power). What a drag. Anyway, I was thinking, perhaps a link to this thread could be put on the "home" page of the forums. Alot more people would notice it that way. I don't think alot of people come to the Wizengamot etc. very often. Just a thought. I agree with Cadia. I don't visit the Wizengamot very often, and I just discovered this thread. It would be a whole lot more convenient if a link was placed in *** index page? If it's possible, of course. Are back with a special public service announcement! 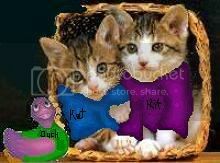 Kit and Kat: We'll hunt you down if you dare to spoil the fandom community! *Join the ASA today and help prevent spoilers!. Canada. And quite frankly, I'm disappointed at the lack of Candadians on CoS in general. Ah well, will just have to convert more friends I suppose. Its a shame there aren't more Canadians here, guess I'll have to talk to my friends. ZOMG! Week 10! And it's found here! Why do we have Oceania listed when it comprises mainly Australia and new Zealand, which are listed elsewhere in the list? Good question. I was trying to figure that out. I am proud to live in East Asia, and don't want to move from here either. Want to stay here forever!! Last edited by Cadia; December 15th, 2005 at 4:02 pm. Voted for Mexico, yeah! Can't believe I'm the only one though. One thing that noone takes into account, ever, is that Mexico is actually NORTH America, not CENTRAL. But then again, that's why it says "Mexico and Central America". I love finding out where everyone is from. Look at all those Americans! I hope more others hurry up and get voting. Anyway, I am one of those two people who voted New Zealand. Hi Hi. Aussie Aussie Aussie! Oi Oi Oi! Thanks to Brianna_Potter for my Siggie Picture! Josh Daniel Jane; 6th Year Ravenclaw <table style="filter:glow(color My Dream is To Push A Metal Hoop with A Wood Stick Down a Dirt Road. </table></center> <table style="filter:glow(color:darkslateblue)"> He is ashamed of his last name. His best friend ever is Selene Kira Montessa. Josh is an only child now but he wasn't always. He use to have a little sister by the name of Katie Maree Jane but she was burnt at the stake by a small group of people after they found out she was a witch when she was 10; Katie's Story. His parents left them when he was 8 and she was 2, but not after they turned him into a Death Eater. The Dark Mark is burnt into his right arm.